My tutor suggested to me after receiving the book format for Assignment 5 – Tourism in London, and Me that perhaps this assignment didn’t work in a book format after all. Instead he encouraged me to think of a better way to display the photographs; particularly the ‘standalone’ photographs, which in the book comprised the first half of each diptych. At first I wasn’t that convinced that the book format didn’t work as I had become somewhat attached to the diptych idea to best contrast myself with the tourists in this assignment. However, by listening my tutor and experimenting, I came up with a different way to present the photographs. In retrospect I do like this method better as it alters the meaning of the work so that my relationship with the tourists is not the defining characteristic of the work but actually the photographs themselves stand out more. The method I chose to present the work differed significantly from the book form. Unlike the book where the diptych placed equal weight on both parts of the diptych photographs, I replaced the diptych idea. I agreed with my tutor’s comments that the first half of each diptych’s photographs form the book deserved to be displayed as a singular centrepiece. This was because I felt they worked as a single-image narrative for each of the hotspots and their inevitable tourist visitors. They were the stronger images in my opinion. They were more effective being directly compared and contrasted against each other than against their diptych counterparts in the original book I’d produced. I didn’t stop using the other side of the diptychs however. 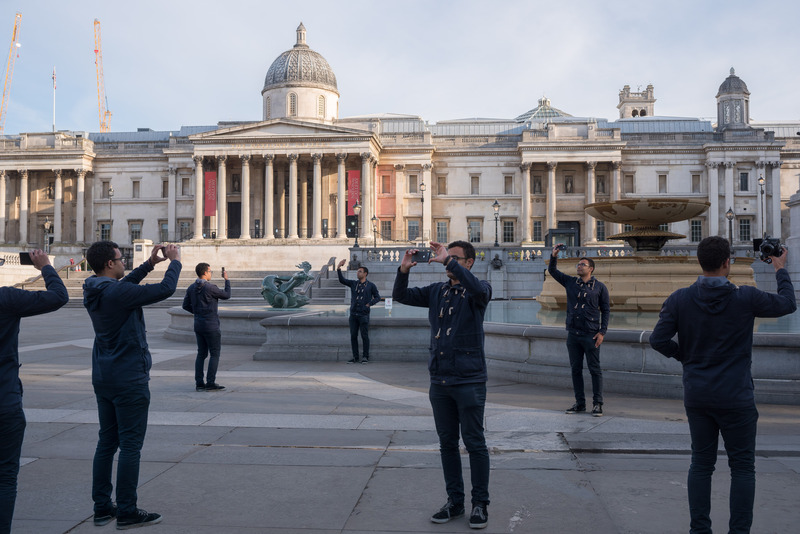 My tutor and I felt both they and the selfies I’d taken at each location in mimicry of the tourists were still effective images. They delved deeper into my relationship with the tourists as well as the whole ritual of selfie taking as souvenirs of an experience although this wasn’t fully explored in these pictures. Therefore I decided to include these images as ‘supporting documents’ to the standalone photographs. To incorporate the single-image narrative standalone photographs and the supporting documents together in one form I decided to move away from the book format. This was to better show off the standalone photographs by printing them large – A3 sized. If I was going to exhibit the photographs I would probably print even larger. The supporting documents were printed much smaller in comparison to the standalone photographs in order to convey to the viewer they were intended to support the centrepieces. For assessment I printed the supporting documents on a A3-sized piece of photographic paper for each tourist hotspot location. 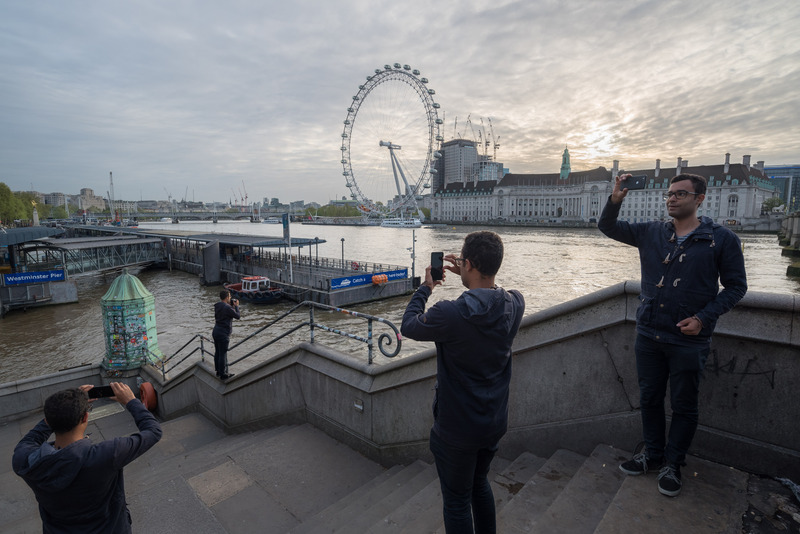 Each location’s A3 standalone photograph was therefore supported by another A3 piece of photographic paper but on these there was the mimicry by myself of the tourists’ selfie-taking and the selfies I’d taken at each of these positions in the respective locations. In this way, the standalone photographs were given much more prominence on the A3 paper than the supporting documents. Here I have attached the PDF for my preferred format for Tourism in London, And Me, that of a book. Although this would be my preferred format, I wouldn’t say it translates well in PDF format onto my blog as it isn’t possible to look at the diptychs side by side as you would in a material book as you turn from double-page spread to double-page spread. The diptychs I would suggest are a big part of my projects efficacy which the PDF loses. However, I have attached the PDF anyway so it is possible to get a better idea of the general look of the book including the front and back covers. I would say before the book is actually printed and material where the diptychs can really be appreciated, the format of Assignment 5 appearing on my blog at: is more appropriate as it is a place where the project can show off the diptychs side by side. Since a large part of my work for Assignment 5 – Documentary revolves around myself documenting people in the act of taking photos but more specifically selfies, I have decided to conduct some research into the ultra-popular phenomenon of selfie-taking. Obviously there are a lot of selfies taken each day, although it was hard to find information quantifying just how many selfies are taken each day, perhaps because of the multitude that are taken. One source claimed 1 million selfies are taken each day: ‘the 1 million odd selfies taken every day across the world (the average millennial is expected to take 25,700 selfies in his or her lifetime)’ – (Walden, 2016). However, this was back in 2016 and is a rough estimate so numbers may have risen since then. In fact in 2014 another article came to the figure ‘Android users send … 93 million “selfies” every day.’ – (Brandt, 2014). These numbers vary wildly but I came to the conclusion that there are a lot of selfies being taken each day. 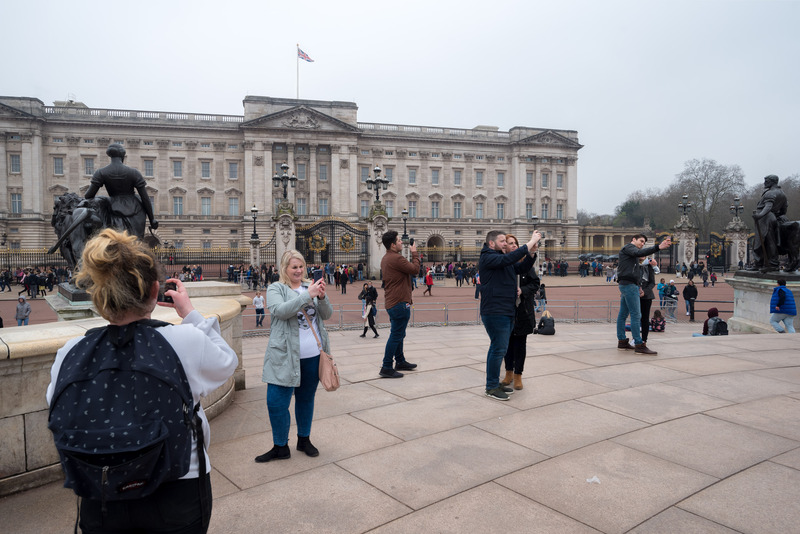 I have also come to realise, while walking around my home city of London that there are a lot of selfies being taken, as well as the fact that London seemed to be a particularly popular place for selfies. 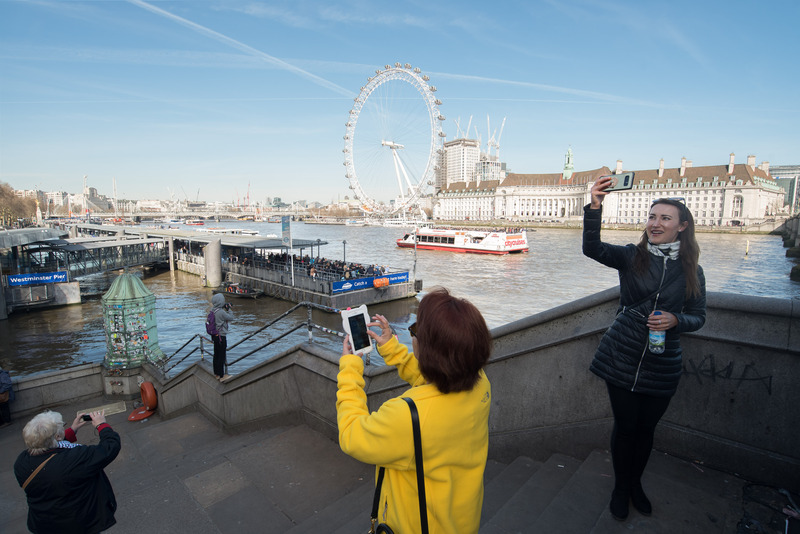 Upon closer inspection, I was able to find statistics that backed this up, showing that London is indeed the the selfie capital of the world. 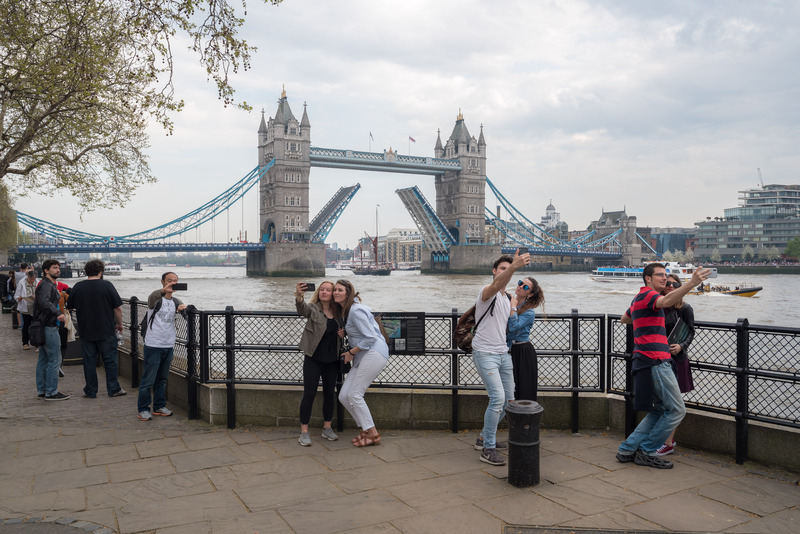 As of 2014, 14.05% of selfies were taken in London. 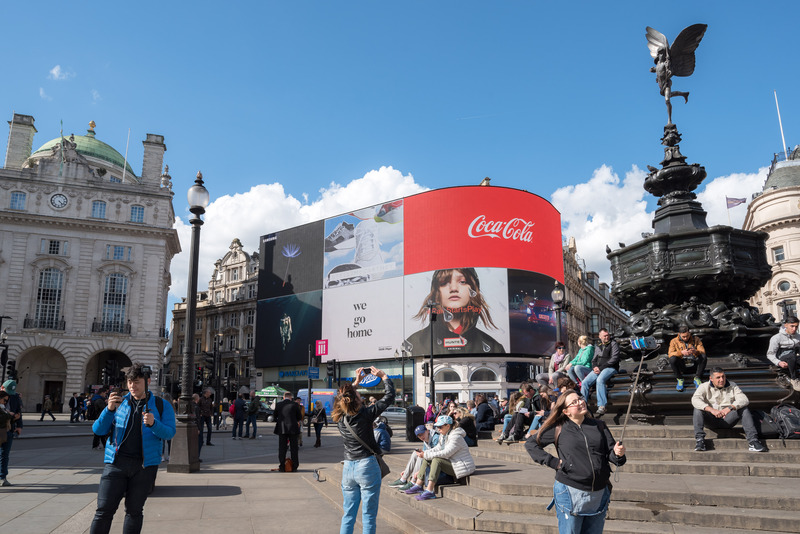 ‘According to an analysis of millions of social media posts by personalized map maker Suggestme, London is the world’s selfie capital.’ – (Richter, 2014). 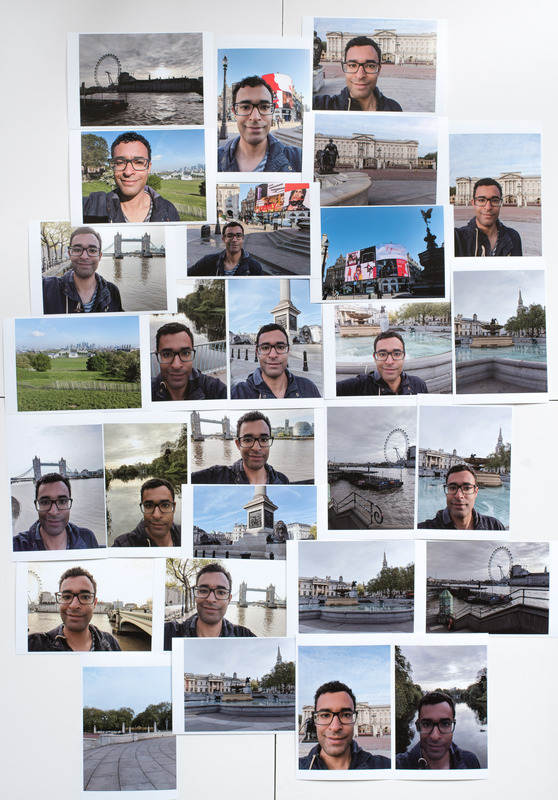 I feel I have been very privileged to live in London and it has come in handy to take advantage of the city’s selfie capital status for the project I have been commencing for Assignment 5 – Documentary. 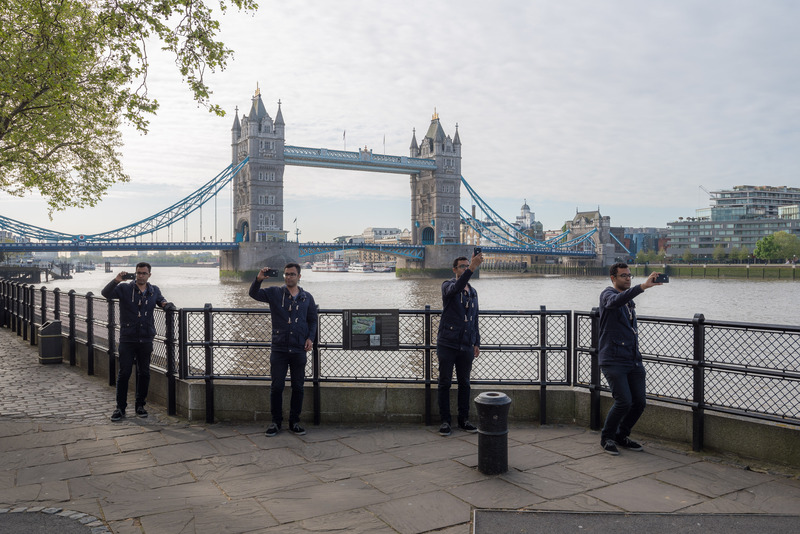 Because so many people visit and take selfies in London it has allowed me to conceptualise through shooting photographs the project described in Final Development for Assignment 5 – Documentary. 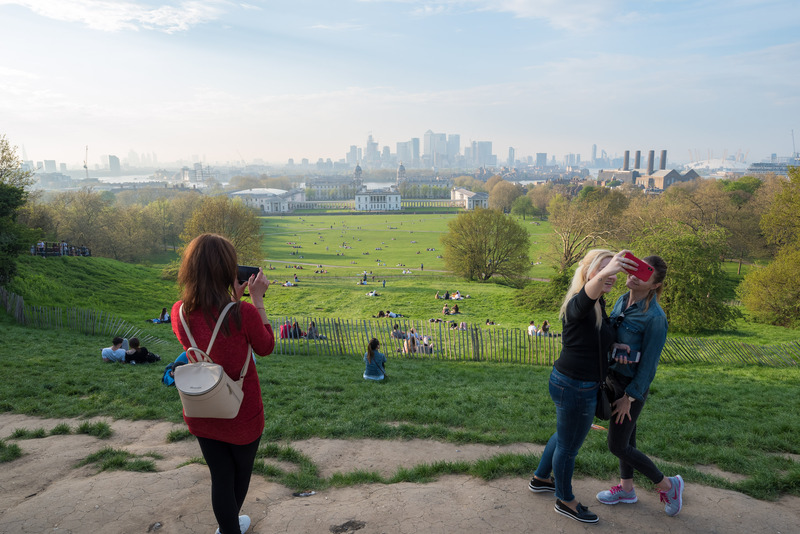 It will also have allowed me (with the help of some patience) to get shots of many tourists taking selfies in each hotspot, something that wouldn’t have been as possible in other cities. One thing that did intrigue me about this data which somewhat quantified the popularity of selfie-taking was what drove people to take them so frequently and with so much enthusiasm. Fellow student Bryn had referenced Grand Turismo to me as a suggestion for reading as he knew I was interested in documenting tourism and selfie-taking for Assignment 5. Photographer Stefano Galli was interested in documenting the same phenomenon but in a different style and in the American West instead of London. Galli used certain similar techniques: ‘To best capture the phenomenon of massive tourism, I chose popular destinations, the ones that would allow me to find the big crowds.’ – (Galli, 2018), however his style was more natural and uncontrived than mine. 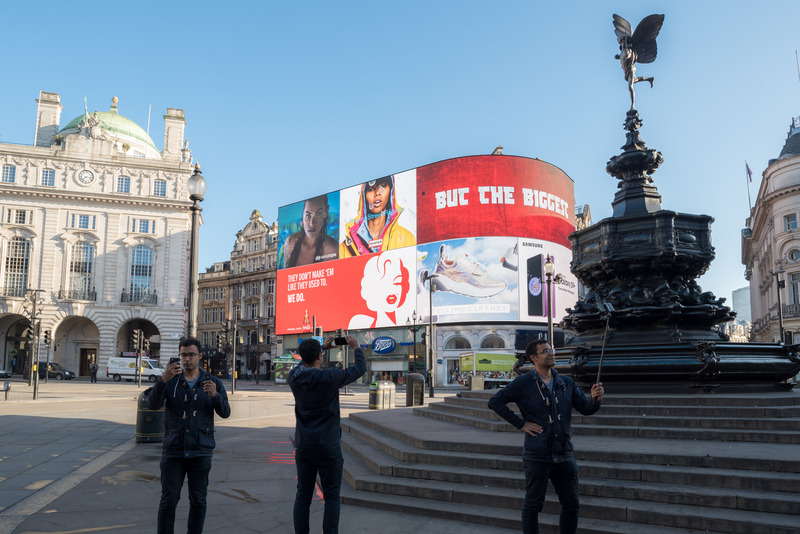 He documented the tourists using the selfie as a commodity rather than experiencing the spaces they visited. One quote I could really relate to since commencing Assignment 5 was: ‘Where the travel photograph was once a memento of a personal experience it has now become a commodity, replacing the experience itself.’ – (The Leica Camera Blog, 2018). This quote in turn made me think back to a remark by Susan Sontag in On Photography (1977) where she states: ‘by limiting experience to a search for the photogenic, by converting experience into an image, a souvenir. Travel becomes a strategy for accumulating photographs.’ It would seem that the photographs are now more important than the actual visit to the place. The visit to the place takes more of a peripheral backseat to the tourists. 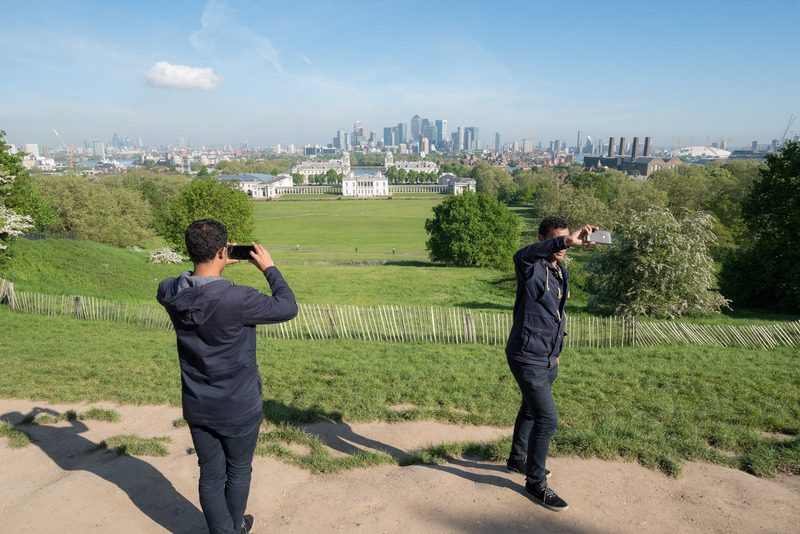 The act of selfie-taking isn’t without controversy. 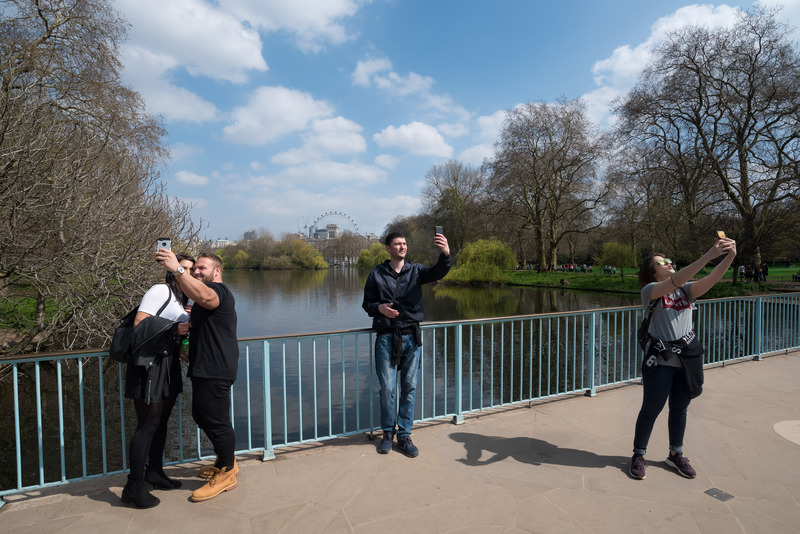 According to Christoforakos and Diefenbach (2017), they state: ‘The Selfie Paradox: Nobody Seems to Like Them Yet Everyone Has Reasons to Take Them’ as the title of their exploration into the psychological implications of selfie-taking. I already agreed with this statement but reading through the abstract of the article there were some interesting comments to back this statement up. ‘Taking, posting, and viewing selfies has become a daily habit for many. At the same time, research revealed that selfies often evoke criticism and disrespect, and are associated with non-authenticity and narcissism.’ – (Christoforakos and Diefenbach, 2017). This directly backs up the title of their article. The two parts to this statement were in turn backed up by ‘self-promotion (promoting one’s strength and abilities) and self-disclosure (revealing one’s feelings for earning sympathy) felt especially positive while takings selfies’ – (Christoforakos and Diefenbach, 2017) for the positive side of selfie-taking. Then for the negative side to taking/viewing selfies they found: ‘participants expressed a distanced attitude toward selfies, with stronger agreement for potential negative consequences (threats to self-esteem, illusionary world) than for positive consequences … and a clear preference (82%) for viewing more usual pictures instead of selfies in social media’ – (Christoforakos and Diefenbach, 2017). I thought this was very insightful research as most people would agree there are positive and negative sides to selfie-culture but probably wouldn’t be able to elucidate as clearly as this to why. Brandt, R. (2014). Google divulges numbers at I/O: 20 billion texts, 93 million selfies and more. [online] Bizjournals.com. Available at: https://www.bizjournals.com/sanjose/news/2014/06/25/google-divulges-numbers-at-i-o-20-billion-texts-93.html [Accessed 13 May 2018]. Christoforakos, L. and Diefenbach, S. (2017). 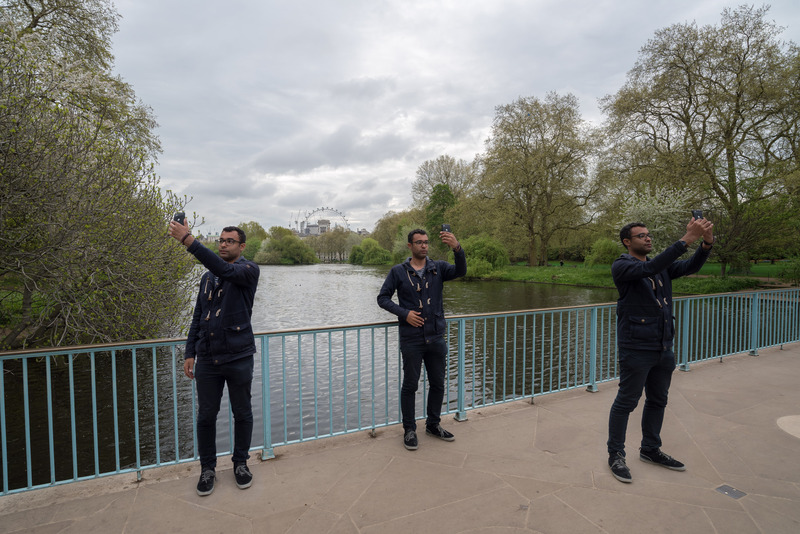 The Selfie Paradox: Nobody Seems to Like Them Yet Everyone Has Reasons to Take Them. [online] Frontiers in Psychology. Available at: https://www.frontiersin.org/articles/10.3389/fpsyg.2017.00007/full#B8 [Accessed 13 May 2018]. Galli, S. (2018). Grand Turismo. [online] Stefanogalli.com. Available at: http://stefanogalli.com/albums/grand-turismo/ [Accessed 13 May 2018]. Richter, F. (2014). 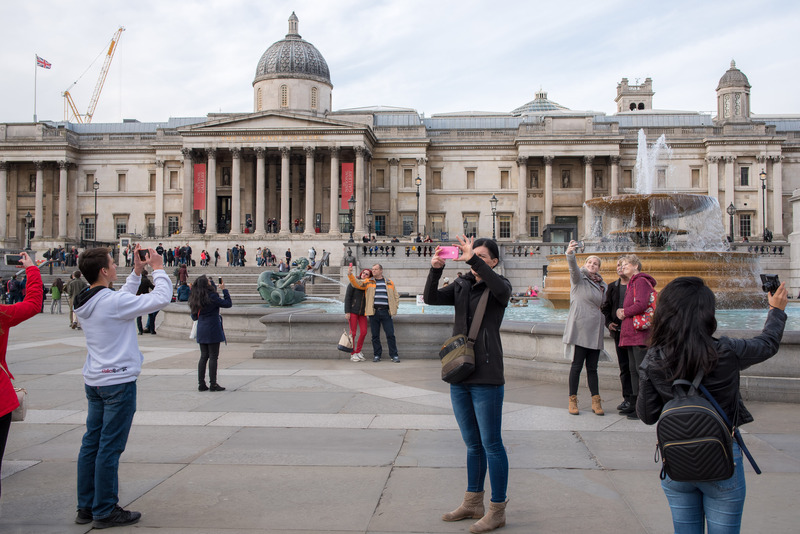 Infographic: London Is the World’s Selfie Capital. [online] Statista Infographics. Available at: https://www.statista.com/chart/2268/most-popular-cities-for-selfies/ [Accessed 13 May 2018]. Sontag, S. (1977). On Photography. New York: Farrar, Straus and Giroux, pp. 13. The Leica Camera Blog. (2018). Grand Turismo – The Leica Camera Blog. [online] Available at: http://blog.leica-camera.com/2018/05/04/grand-turismo/?utm_source=instagram&utm_medium=organic&utm_campaign=Leica_MD [Accessed 13 May 2018]. Walden, C. (2016). We take 1 million selfies every day – but what are they doing to our brains?. [online] The Telegraph. Available at: https://www.telegraph.co.uk/women/life/we-take-1-million-selfies-every-day—but-what-are-they-doing-to/ [Accessed 13 May 2018].